Ok, so hold on for my rant. I plan to be ranting for a few posts so you may want to revisit in the coming weeks to see what is annoying me to no end. 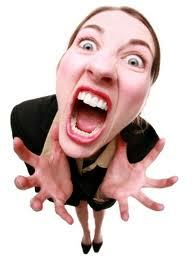 I am VERY annoyed! I am annoyed for a few reasons and if you are involved in some way with employee performance and development you need to here this and/or be annoyed too. In this post, I am embarrassed about how learning professionals shirk their responsibility to be learners themselves. I am shocked that those with the responsibility for learning within organizations (and even in academia) fail to challenge what they know and make no attempt to discover what they don’t know. Why Are Learning Professionals Not Open to Learning? First, learning professionals not open to learning. Dear learning professionals…don’t forget that you are “learning professionals”! Your objective (and responsibility) is not only to help employees learn but to be learners as well. We are responsible for learning and that means we must practice what we preach. If we (learning pros) don’t lead by example then what are we good for? 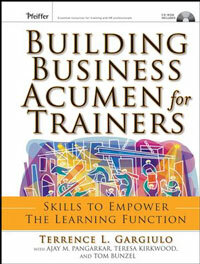 Our own professional development is as essential as the need to instill learning within our organizations. Now my comment doesn’t apply to all involved with learning (there are some very leading edge people in our field) but my concern arose over a recent conversation with a learning professional on a LinkedIn discussion group. Recently, I published an article titled, “Return on Expectations: 7 Critical Flaws that Undermine Training Effectiveness” (read it on this blog or at TrainingIndustry.com http://t.co/KmTjV4j7). The purpose was to challenge weak and repackaged training effectiveness theories promoted by opportunistic training experts at the expense of unaware/unknowing training professionals (I wish I was biased but it’s true). Those who follow me know I feel the same way about “Training ROI” (read my post on this blog). The problem is not that someone challenged me on my ROE article (I welcome challenges as it means you are thinking critically and that we are learning from each other) but that they were convinced that ROE was wrong and their solution was to use training ROI. Now, you may say, “but Ajay, they are allowed their opinion” and I agree with you. But their position for training ROI is based upon the inaccurate propaganda spewed by the training ROI methodology (watch for my book on this topic fall 2012). As much as I wanted to respect their position, the person argued that my fully supported (based on actual business/accounting/financial principles and not created by Ajay) counter-arguments was wrong and that my position biased. Again, those that follow me know I am transparent about my positions and base my arguments not on bias but on factual and accepted business principles and theories. What is not arguable are the basic and actual business principles taught at all business schools/universities. And all I have to say is that those that promote “training ROI” and “training ROE” have effectively conditioned innocent learning professionals such that either of these methodologies are the holy grail to measure training effectiveness and worse, convince management that the results are credible. My initial statement still follows: you are a learning professional and that comes with a big responsibility…you must be a learner and more importantly, be a critical thinker. While the ROI and ROE camps sling mud at each other, all you need to be aware of are the actual facts and what is and what is not credible. Never, ever take anything at face value. Question everything you see, read, and hear…even what I say. The proponents of theories are usually opportunistic and only seeking to benefit themselves, not you. So as they say in retail…caveat emptor or buyer beware! Thinking critically about what you are learning, this doesn’t mean you should criticize but rather look at concepts from various perspectives, not just one. All I am trying to say is that if you are in the training “business” then you must practice what you preach…so practice being a learner. Ajay M. Pangarkar and Teresa Kirkwood are founders of CentralKnowledge.com and LearningSourceonline.com. 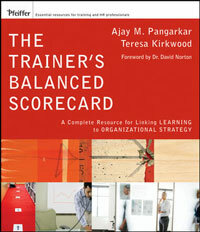 They are renowned performance management experts and three-time authors, most recently publishing the leading performance book, “The Trainer’s Balanced Scorecard: A Complete Resource for Linking Learning to Organizational Strategy” (Wiley 2009), and award-wining assessment specialist with Training Magazine. Read their blog, “Workplace Revolution” or contact: ajayp@centralknowledge.com.